In today’s world each and every person wants to stay connected. Average human being spend 2 to 9 hours online. At outdoor, cafe, hospitals and mamy more places we primarily depend on mobile phone 3G/4G connection which is quite unreliable at times. 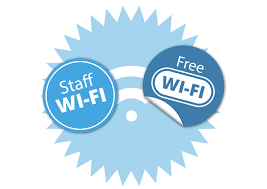 Taking care of customers “Always connected” needs, business throughout the world, be it a Cafe, Restaurant, Night Clubs, Hotels or Hospitals have started providing free WiFi to their customers. Guest WiFi hotspot is not just a business but could also be very useful tool to attract more customer footfall, increase business and capture valuable customer data. Today there is no “out-of-the-box” and “do-it-yourself” easy to use WiFi hotspot Customised software available in the market and that’s where Kloudyy comes into the picture. Kloudyy Wi-Fi Hostspot Solution is user friendly, secure and fully managed Guest WiFi hotspot software which can be configured within minutes with zero technical knowledge. Kloudyy is useful for making a Guest WiFi hotspot at Cafe, Restaurants, Hotels, collage, Hospitals etc. WiFi hotspot solution for students or a secure and free Public WiFi hotspot system at markets or any other venues like hospital, events etc. Kloudyy takes care of the end to end needs and integrate many innovative features like social marketing with WiFi or taking real time feedback survey, all managed through a centralized control panel. Admin department also has the facility to generate day to day report. For this we provide the Dashboard from where admin can easily access or can control the usage of wifi.